Founded in 1876 by the renowned John Duff, the Glenlossie distillery was completely destroyed by a fire in 1929. In 1962, the number of stills was increased from four to six. Distilled on 4th October 1984, this version will blow you away with its complexity, presence and generosity. 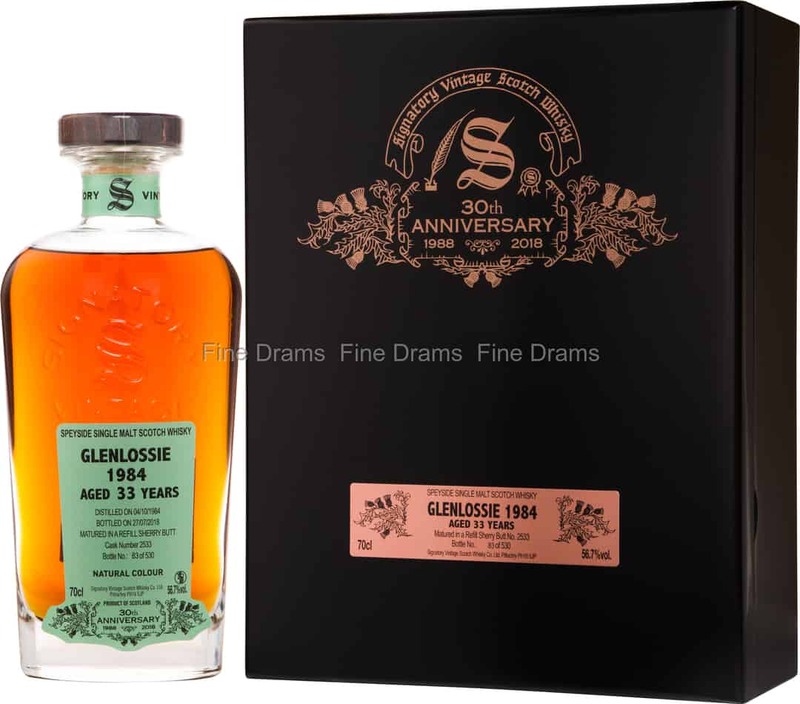 The breadth and depth of this Glenlossie’s palette of aromas and flavours are quite simply extraordinary. In no particular order, we find an extremely delicate minerality, incredibly sophisticated malty sequences and a stunning collection of autumnal colours. Colour: copper with a topaz hue. Profile: the concentrated initial nose is roasted (coffee), fruity (black grape) and chocolate. Initially mineral, it gradually becomes medicinal (camphor). The elegant attack pays tribute to malted barley. The mid-palate is a real sweet treat (strawberry cream cake). The silky finish wavers between aromatic plants and autumn shades (chestnut). The retronasal olfaction is mentholated. The whisky was disgorged and bottled under my supervision in the Town of Pitlochry on 27th July 2018.